Few foods are as inherently fun as gooey, creamy, sticky peanut butter. Today, the makers of the SKIPPY® brand are launching a new multi-faceted regional ad campaign, the brand’s first in more than five years and the very first under Hormel Foods ownership. After undergoing global positioning research for the SKIPPY® brand, Hormel Foods discovered that consumers across the world believe peanut butter is one thing: simple fun. This led the company to use the beloved SKIPPY® brand to spread yippee to peanut butter lovers everywhere. The simple joy of eating peanut butter will be brought to life across various brand platforms, from marketing to product innovations, and in the new multimedia advertising campaign. The SKIPPY®Yippee™ brand campaign features interactive social components on peanutbutter.com, an online “Fun Button” and a 30-second “Fun Factory” television ad highlighting how the fun gets into the peanut butter. Throughout the campaign, fans can use hashtag #SkippyYippee to share their own yippee moments and expressions on social media; the spread of yippee across the Internet will be tracked using hashtags and clicks, quantifying the increased fun that the SKIPPY® brand brings to consumers. The website and advertisements are the first in a phased campaign, with additional components to be introduced in the coming months, including a platform for user-generated peanut butter art and an interactive online game. • Website and “Fun Button”: The new “Fun Button” is hosted on the updated SKIPPY® brand desktop and mobile site, peanutbutter.com, as well as in rich media and mobile iAds. Each time the button is pressed, users receive a random expression yippee from the online content library, such as an animated GIF, short video or sound effect. • “Fun Factory” Ad: The “Fun Factory” TV ad shows how the SKIPPY® brand becomes the fun peanut butter. As factory worker “Penny” examines the peanuts, she chooses those with the most yippee personality to go into a jar of SKIPPY® peanut butter, while the un-fun peanuts are sent to a boring office party. Additional interactive digital elements are planned through 2015, including the opportunity to create one-of-a-kind peanut butter “art” and a challenge to fans and friends to play in a “Fun Factory” online game. The SKIPPY®Yippee™ campaign and the “Fun Button” will be promoted through ad units appearing across a broad mix of online media. 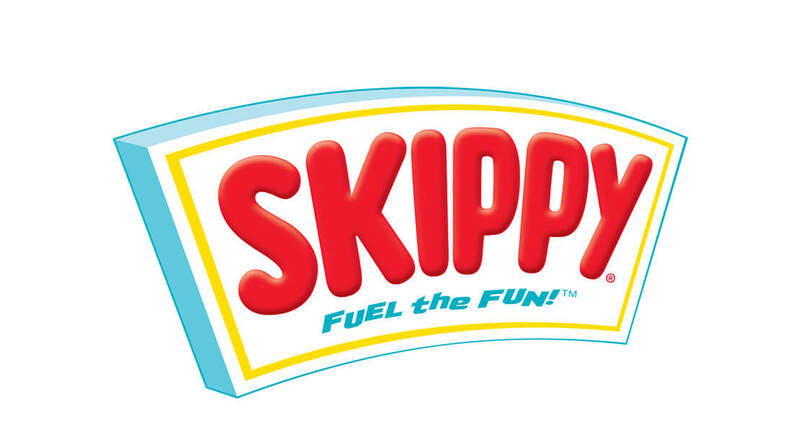 BBDO Minneapolis and Clickfire Media collaborated on the SKIPPY®Yippee™ campaign’s digital and social efforts. The “Fun Factory” TV spot was directed by Robert Boocheck through production company Click3X and features voiceovers from famed announcer Bill Kurtis (“Anchorman,” “CBS Early Morning News,” “Wait Wait… Don’t Tell Me!”) and legendary actress Estelle Harris (“Seinfeld,” “Toy Story”) with her real-life husband of 62 years, Sy Harris. Fans can connect with the SKIPPY® brand through the peanutbutter.com site; on Facebook, at Facebook.com/Skippy; on Twitter, at the handle @Skippy; and on Pinterest at pinterest.com/skippybrand. Hormel Foods Corporation, based in Austin, Minn., is a multinational manufacturer and marketer of consumer-branded food and meat products, many of which are among the best known and trusted in the food industry. The company leverages its extensive expertise, innovation and high competencies in pork and turkey processing and marketing to bring branded, value-added products to the global marketplace. The company is a member of the Standard & Poor’s (S&P) 500 Index, S&P Dividend Aristocrats for 2014, was named the 2013 Sustainable Supply Chain of the Year by Refrigerated & Frozen Foods magazine, and was again named one of “The 100 Best Corporate Citizens” by Corporate Responsibility Magazine for the sixth year in a row. Hormel Foods was recognized on the G.I. Jobs magazine list of America’s Top 100 Military Friendly Employers in 2012 and 2013, and named one of the 2014 40 Best Companies for Leaders by Chief Executive magazine. The company enjoys a strong reputation among consumers, retail grocers, foodservice and industrial customers for products highly regarded for quality, taste, nutrition, convenience and value. For more information, visit https://www.hormelfoods.com.